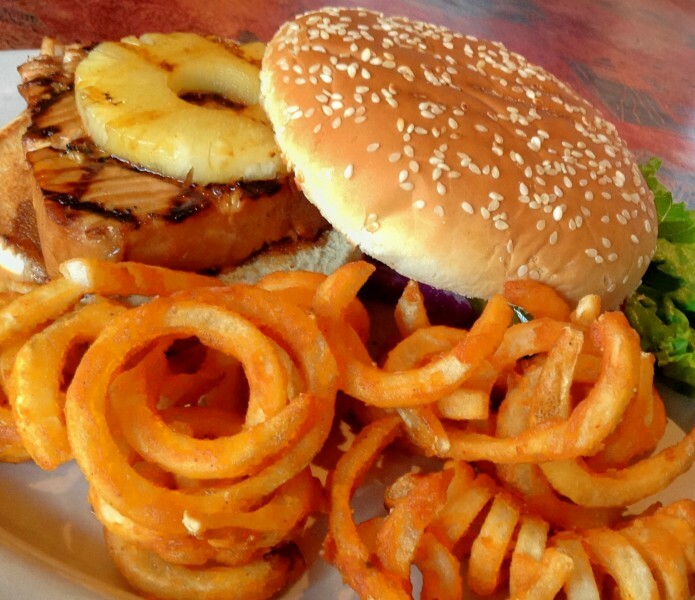 City Grille is a locally owned restaurant and sports bar providing the community of Manassas delicious food and drinks. 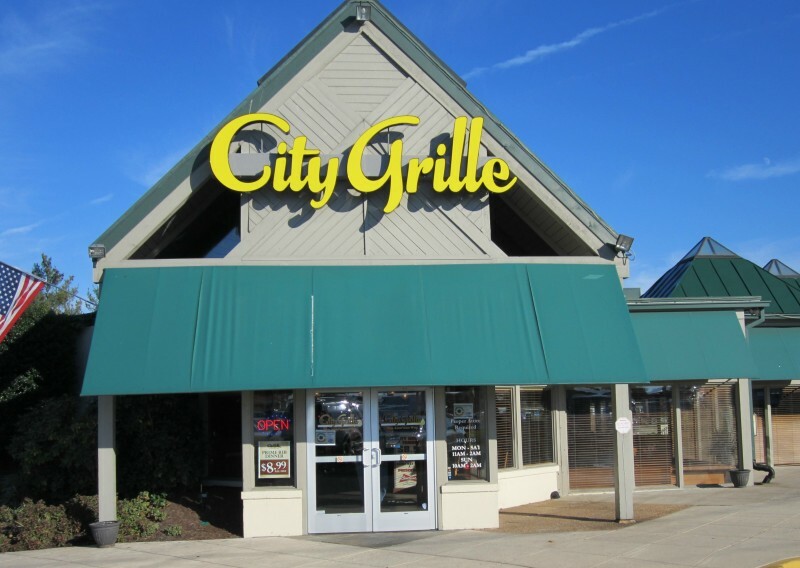 Located conveniently off of Interstate 66, City Grille has the perfect atmosphere for family dinners or a large group of family and friends. 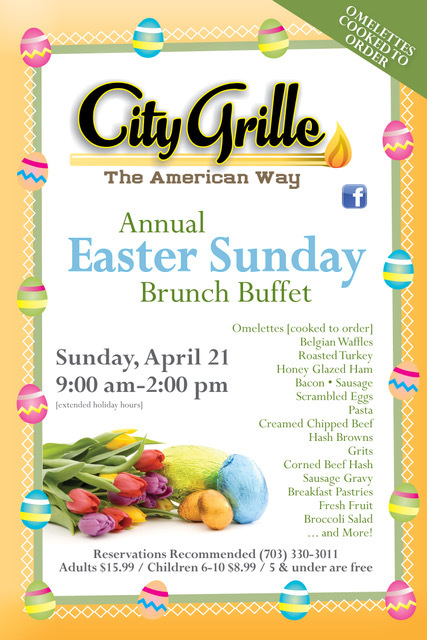 City Grille offers a wide selection of American cuisine. We are known locally for our excellent PRIME RIB, STEAK and BUFFALO WINGS. We have Chef's Specials featured daily for lunch and dinner. Each Sunday, from 10:00 am - 2:00 pm, we offer an all you can eat brunch buffet for $12.99 (children's pricing is lower). We have 16 TVs throughout the restaurant and patio so you will never miss any of your favorite sports team action. Visit us for DJ and dancing on Friday and Saturday evenings. Come sit outside on our fabulous patio as you enjoy one of our nightly drink specials. Our patio also features a tiki bar and an amazing waterfall with appetizers specials nightly from 4pm to 8:30pm. Our friendly staff are available to answer any questions you may have about our Restaurant. You can dine-in or carry-out. 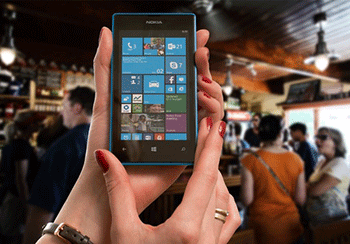 Free Wi-Fi is available in our restaurant to our customers. Located at the intersection of Balls Ford Road and Sudley Rd just behind the Sunoco. "Went for dinner and the meal and service were excellent. They have a large bar ... My husband ordered a martini with his meal and he said it was excellent. Reasonably priced too. Went there for Sunday brunch recently and was good too. Eggs of any kind to order and a variety of breakfast items to choose from. We'll go back. Real convenient to anyone travelling rt. 66"
"The City Grille offers good food at reasonable prices along with daily specials. In the summer, it is especially nice to dine outside on their patio where there is a waterfall and palm trees. The Sunday brunch is a favorite of ours"
"Their steaks and salmon are especially good. I had a bowl of clam chowder on the last visit which was as good as at Fisherman's Wharf in San Francisco"
"Friendly staff. Good value for money"
"The food is better than average and the prime rib is the best deal in town. It is nice sized piece of meat and it comes with a salad, potato, and bread for about what a burger costs at other places"
"Loved the prime rib special, and it was very tender and tasty for an unbelievable price! The wait staff were pleasant and we didn't wait long for anything. Very clean and well run"
"Great food. Excellent service. Daily specials as well as a very complete menu. Great place to eat after a long day of touring the battlefield at Manassas or coming back from D.C."
"Service was very good. Menu offered lots of choices and the daily specials were tasty. Seemed like lots of locals were there and that's usually a good indication of quality food and reasonable prices. I wasn't disappointed!" "Food was good, reasonably priced. We got a discount with our Holiday Inn hotel room key. Interesting photos on the walls. Nice waitress." "Great food, excellent service . . . glad we chose this instead of the other commercial chains in the area!" "I've only had the late night menu but a favorite is def the BLT. Onion rings are amazing and huge. Wings are also on point. They have great beer specials and a pretty awesome DJ. Only been here at night but def plan on making a lunch trip there even though I live in Warrenton. The staff is so awesome I'd miss them if I never went back!" "Service was good. We ordered fried zucchini as an appetizer and was pleasantly surprised that it seemed fresh made. NOT frozen and very good. I also had a cup of the soup of the day, new england clam chowder which was also homemade and very good. I had the 12 oz prime rib which was cooked perfectly....My house salad was good and the ranch dressing was very tasty. My husband ordered the bacon cheeseburger medium rare. Once again it was served perfectly cooked.... Our server was knowledgeable about the beer selection for my husband... Now the best thing about the place, three beers, one mixed drink, appetizer, soup, prime rib and burger for under 50 bucks. We would definitely return if in the area again!" "First I would like to say I travel a great deal, so I have lots of experience with pubs, bar grills and hole in the walls. This place has a good atmosphere. Staff is friendly and prices are reasonable. The menu is diverse and happy hour is from 11-8. I really enjoyed the Hawaiian steak, it had great sauce and was cooked well. The prime rib was good but a little dry, I ordered it rare so I think it was sitting out. I would return and would also recommend this to a friend."